As Colin Powell once said, “A dream doesn’t become reality through magic; it takes sweat, determination and hard work.” Similarly, it was through grit, sweat, and determination that both the boys and girls Raffles Tennis teams achieved gold in the National Schools Tennis Tournaments 2012. 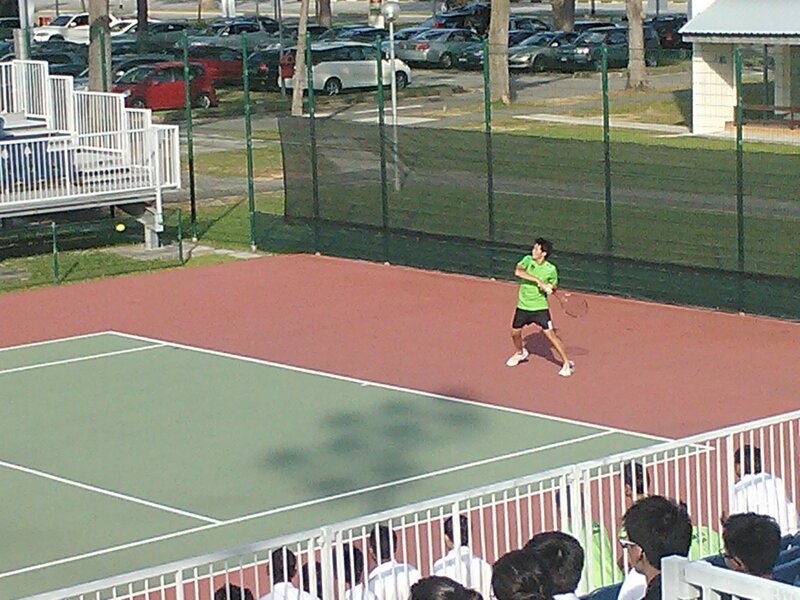 On 16th May 2012, Raffles Tennis Team endured hours of grueling, hard-fought matches, to return as champions. 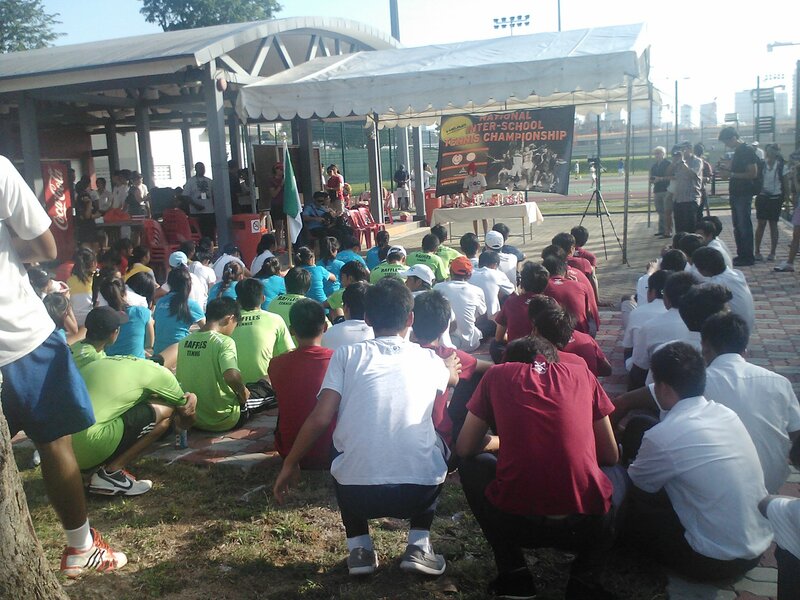 Both boys and girls’ divisions defeated their rivals Anglo-Chinese School (Independent) and Anglo-Chinese Junior College respectively and were victorious yet again, continuing our school’s winning streak in tennis. It was a truly intense match; both sides performed remarkably, opponents offered strong resistance, and victory was difficult to clinch. However, their training and tenacity eventually paid off, with the girls’ team winning by a narrow margin of 3-2, and the boys’ triumphing with a score of 4-1. The latter team played well: a member of the team described one of the matches as a “walk in the park”. 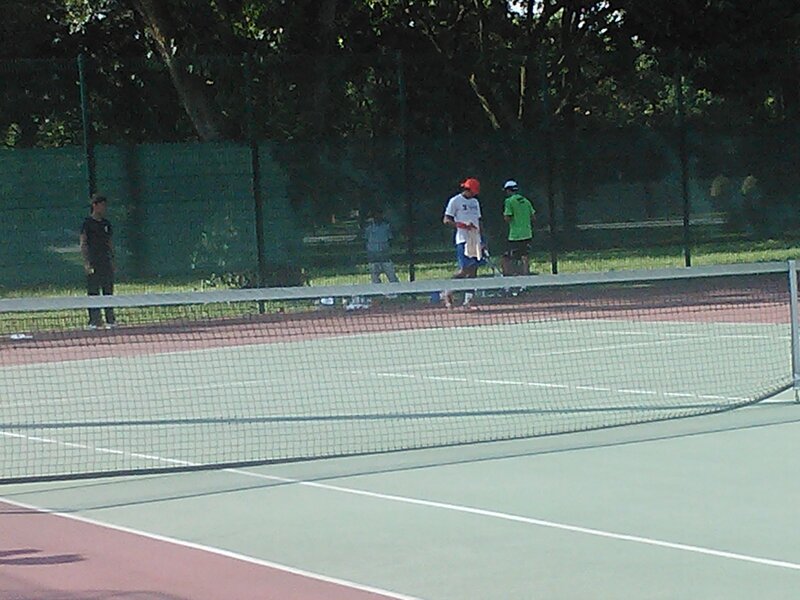 In the singles rounds, Euan Rajanthiran won with a score of 6-3, 6-2, while Tan Jia Wei lost an exhilarating 3-set match. Of our doubles teams, Rayner Loi and Kevin Wee claimed easy victory (6-4, 6-2) and Michael Chan and Eugene Tan defeated their opponents 6-2, 6-4. The last match, at Court 7, Steve Ng from RI and Kristopher Tan of ACS(I) was, as many final matches are, a clash of titans. This match generated much buzz amongst spectators and teammates, for both players were very evenly matched. Steve won the first set with a score of 6-1, but Kristopher rallied in the second set, winning with a score of 6-3. The final set was a nerve-racking close call; the score stayed precariously close till the end. Finally, with three tie-breakers and a score of 7-6, Steve claimed victory. 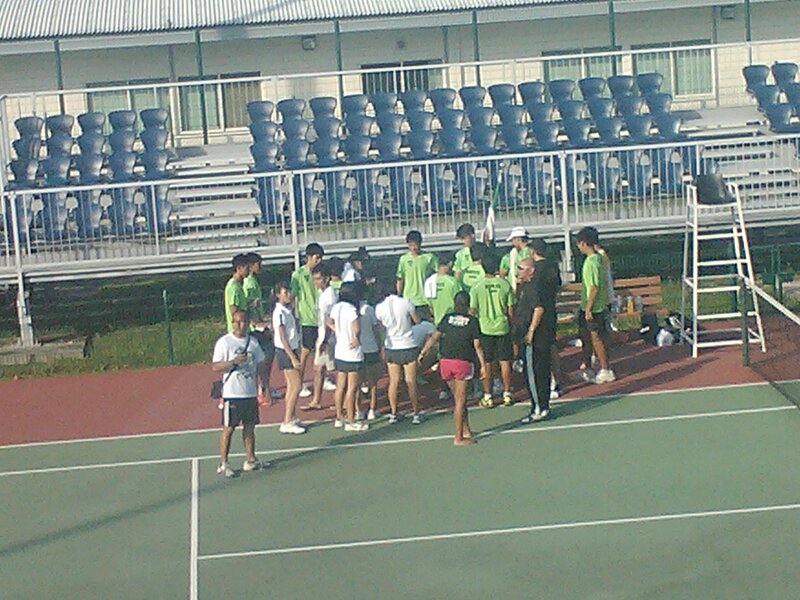 While all this excitement was going on, the girls team was facing off against ACJC. It was a relatively milder competition: the first four matches all concluded within 2 sets. Out of the first three singles players, Jennifer Wu and Nicole Rosenberger won their matches, while Inez S. buckled under the pressure from ACJC’s Kylie Wan. Our doubles pair Elizabeth Wong and Shanice Khoo lost their match, making the final doubles face-off the decisive match of the day. Both Jean Iau and Danielle Eng kept their cool despite mounting pressure, and won the match with partner chemistry. It was a tournament displaying perseverance, level-headedness, and strong fighting spirit. Mr Koh, teacher in-charge of Tennis, told us: “The results were expected because we believed that we can do it, believed that they can do it. During the match, there were people shouting the word ‘Believe’. It was the word that had kept them going. When they were losing, they believed they could catch up; when they were winning, they believe they could win.” Indeed, as it was a final with ups and downs, it was the belief of the players, teammates, and supporters that worked to bringing back the gold for Raffles.